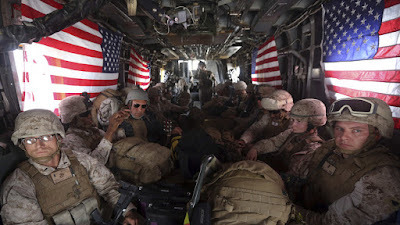 Some 42 percent of Germans are ready to see 35,000 US troops return home, a new YouGov poll, conducted on behalf of the German Press Agency, revealed. Only 37 percent wanted to see US troops stay in Germany in some capacity. The remaining 21 percent did not decide. The call for withdrawal is especially strong among left-leaning voters, with 67 supporting the move. Some 55 percent of Alternative for Germany (AfD) right-wing backers also called for the removal of US forces. The Greens stand 48 percent in support of ending the US presence in Germany. The US troops served as a guarantor of West Germany’s security during the Cold War. Following the collapse of the Soviet Union in 1991, the US refused to abandon its bases in a unified Germany and kept thousands of troops at the heart of Europe. With the ongoing changes in the transatlantic alliance driven by Donald Trump’s determination to cut spending on military support of US allies, the administration has reportedly hinted that it might be ready to reduce troops in Germany. “Germany does a lot for NATO,” Chancellor Angela Merkel said at the ongoing summit in Brussels, after Trump accused Berlin of being held captive by Russia. “We are protecting Germany, we are protecting France, we are protecting all of these countries and then numerous of the countries go out and make a pipeline deal with Russia where they are paying billions of dollars into the coffers of Russia. I think that is very inappropriate,” he noted at the summit.